For lovers of historical fiction, this novel provides suspense, war and a little known part of Australian history, all rolled into one very appealing package. Set during the bombing of Darwin, readers become involved in the lives of those fleeing south, those staying to defend and the Japanese/Australians who had called Darwin home. 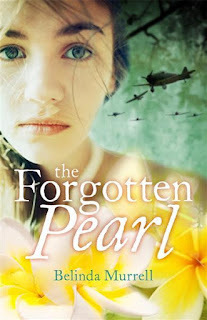 Told through the eyes of 13 year old Poppy you'll meet Edward, her brother who becomes a POW in Changi; Lilly who dies with her whole family in the bombing of Darwin and Shinji, born in Australia but interned in a prison camp during the war. This highly recommended book is written by the sister of well known author Kate Forsyth.